Bilstein B12 Pro-Kits prove that sometimes two is better than one. 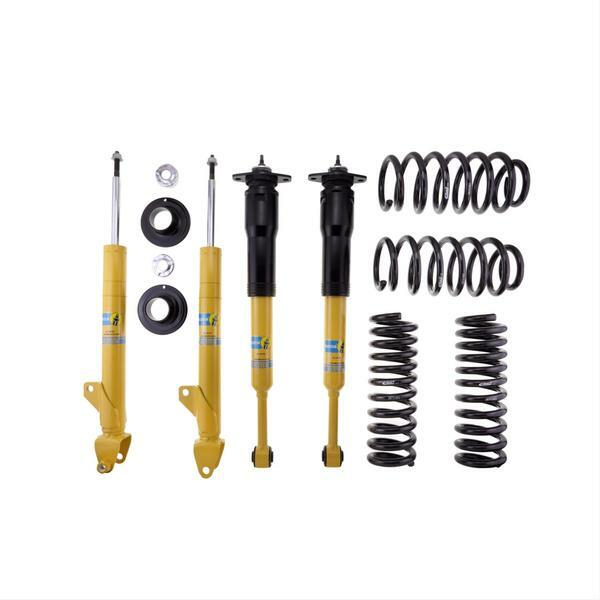 The shock absorber experts at Bilstein and the spring professionals at Eibach teamed up to use their 120 years of combined experience to create these simple—but effective—kits. B12 ultimate suspension solutions fit your car with high performance Bilstein dampers and high-tech industrial Eibach lowering springs to deliver excellent handling and comfort. Order the Bilstein B12 Pro-Kit Series suspension kit designed for fitment on your vehicle.